SHARJAH: UAE and UK are experiencing new heights in literary relationship, said UK publishers who attended the 36th Sharjah International Book Fair as honorary guests. 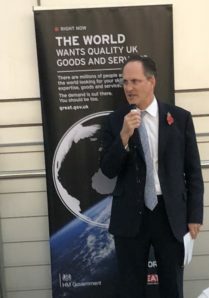 The UK trade mission told Gulf News that the positive gestures by Sharjah organizers is a clear indication of expanding cultural exchanges of all things literary, between the two countries. The UK team is led by The Publishers’ Association and The London Book Fair. 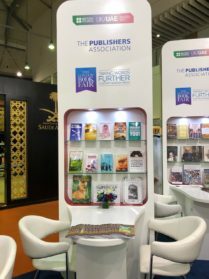 Jade Robertson, International publishing director of Austin MacauleyTM Publishers, told Gulf News that our firm has recognised the importance of UAE’s book market and accept it as the stepping stone to give us increased exposure in the Middle Eastern region. 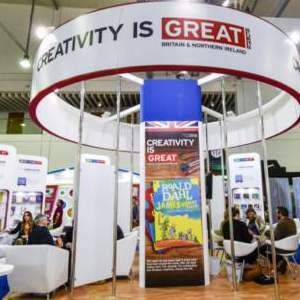 SHARJAH: UAE and UK are experiencing new heights in literary relationship, said UK publishers who attended the 36th Sharjah International Book Fair as honorary guests. The UK trade mission told Gulf News that the positive gestures by Sharjah organizers is a clear indication of expanding cultural exchanges of all things literary, between the two countries. The UK team is led by The Publishers’ Association and The London Book Fair.